Lord Dr (Michael) Hastings of Scarisbrick CBE is Global Head of Citizenship for KPMG International. Michael has represented KPMG International on the Global Corporate Citizenship Committee of the World Economic Forum from 2008 to 2010. In 2009 he became a Member of the World Economic Forum’s Global Council on Diversity and Talent, in 2010 served on the Global Agenda Council on the Next Generation and in 2011 became a member of the World Economic Forum’s Global Agenda Council on the Role of Business. In 2012-2014 he led the WEF Global Agenda Council, The Future of Civil Society and in 2016 joined the WEF Global Agenda Council on Migration. Michael is also a Trustee of the Vodafone Group Foundation and a Vice President of UNICEF UK and Tearfund. He was previously a non-executive Director of British Telecom (on the Board for Responsible and Sustainable Business) for nine years and was a Global Board member of Millennium Promise until January 2016. In 2010 he was a leading adviser to the Chatham House enquiry into the Future Role of the UK in Foreign Affairs. Michael also sat on the Council of the Overseas Development Institute in the UK and previously on the Centre for Global Development in the USA. Michael has also been a Board Director of the Global Reporting Initiative (GRI) from 2010 to 2012 and is President of ZANE – a development aid agency focussed on Zimbabwe. He is also a Patron of Free the Children and a Director of Junior Achievement Worldwide. In 2003, Michael was awarded a CBE (Commander of the British Empire) for services to crime reduction which includes 15 years as Chair of Crime Concern and nine years serving on the Commission for Racial Equality (1993-2001). In 2005, Michael was awarded an independent peerage to the House of Lords. In the same year he received the UNICEF Award from the then UK Chancellor for his outstanding contribution to understanding and effecting solutions for Africa’s children. 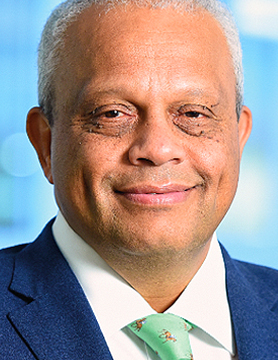 In 2014, Michael was conferred with a Doctorate in Civil Law from the University of Kent, Canterbury in recognition for his leadership at KPMG, the BBC and for his work in international development and corporate responsibility. In 2017 Michael was installed as the Chancellor of Regent’s University London.